» Everything You Need to Know About Co-Sleeping, Bed-Sharing, and Breastfeeding. Sharing a bed with a baby is probably something that every parent has tried at some point. Who wouldn’t want to keep their bundle of joy next to them at all times? However, while sharing a bed or a room with their baby is a nightly habit for some parents, others would argue about the safety of this practice. Granted, there are some dangers when it comes to bedsharing. You may roll over the child. His/her body temperature may become too high if you are too close, arising several health problems. Moreover, if the baby ends up tangled in the sheets, they wouldn’t be able to release themselves and breathe on their own. So you must understand the concept fully and follow the best practices. Sharing A Bed: The child sleeps in the same bed as the parent(s). Sidecar Arrangement: The parents attach the baby’s crib to one side of the bed, usually the mother’s side. The outside parts of the crib are left the way they are, but the one that faces the parent’s bed is usually removed or lowered to offer easy access to the baby. There are even baby beds that were specially made for sidebar arrangement. 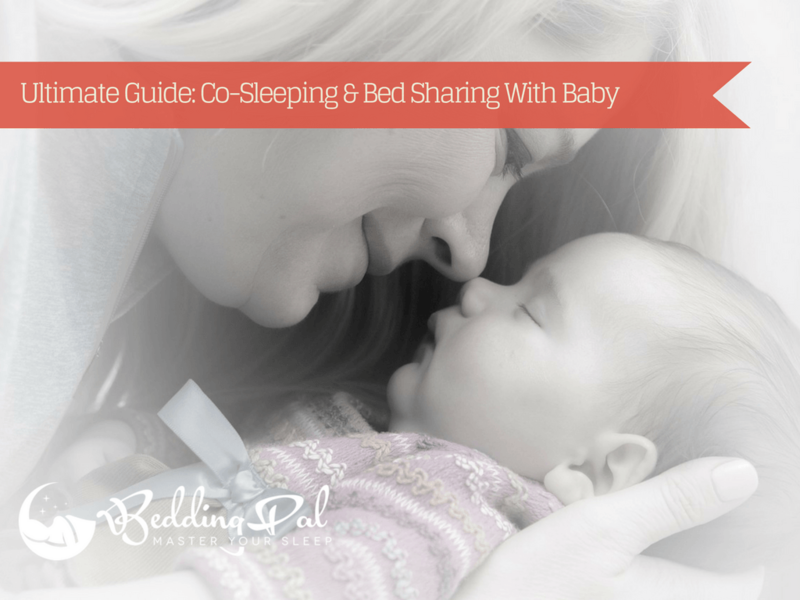 Same Room With Different Beds: Similar to sidecar arrangement, this type of co-sleeping involves installing the baby’s crib in the same room – although not necessarily attached to the parent’s bed. It may be within arm’s reach, at the foot of the bed or on the other side of the room. Occasional Bed-Sharing: This involves welcoming the baby in the parent’s sleep after waking during the night. The baby has its room and bed to sleep in, but to help them fall back asleep, the parent lets them sleep in their bed for the rest of the night. It all pretty much depends on your sleeping habits. If you tend to toss and turn around, you may want to go for the sidecar or the same room arrangement. However, if you don’t usually move while sleeping, the bed share can be a good option for the both of you. The child will end up getting more sleep. Since most children almost wake up when they are hungry, the mother can soothe the baby right away or breastfeed him/her before she wakes up completely. Since the child gets more sleep, the parent will also get more sleep. It’s easier to feed the baby if he or she is nearby. Studies show that if you allow the baby to sleep in the same room with you, the risk of SIDS ﻿﻿(Sudden Infant Death Syndrom﻿﻿e) is reduced by 50%. Since the baby is in the same room, he/she will not go through any nighttime anxiety. Parents have fewer bedtime hassles to deal with. 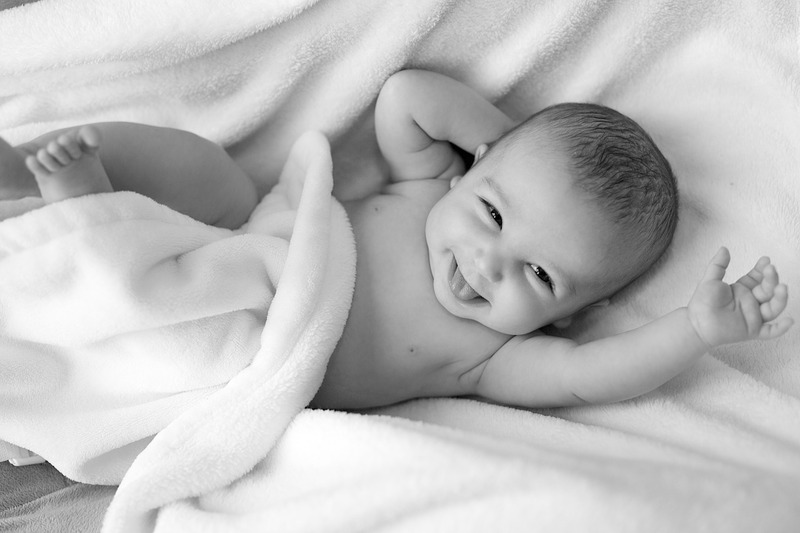 Last but not least: who wouldn’t want to wake up next to a happy baby? Just seeing those big eyes staring at you first thing in the morning would be enough to melt all your worries away. Plus, a well-rested baby equals a well-rested mommy. 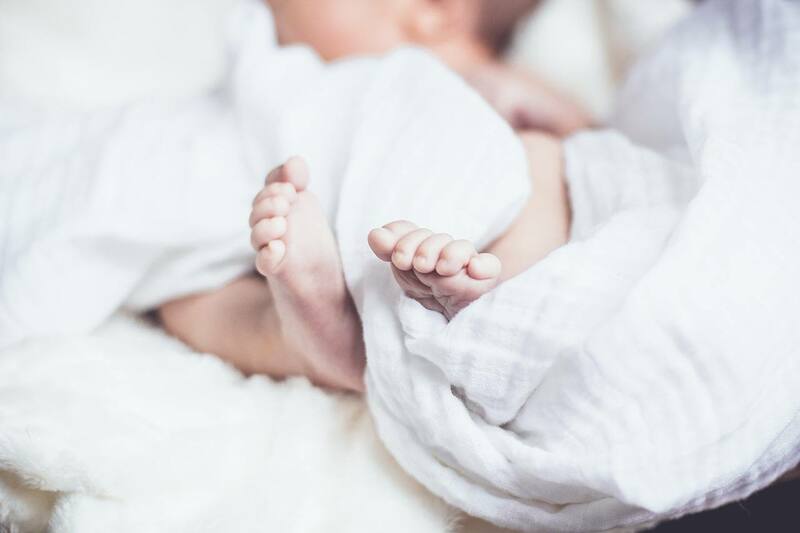 As sad as it may seem, a lot of children lose their lives in their first six months of life – and this mostly happens due to unsafe sleeping practices. It is believed that around 94% of unexplained deaths in infants were closely related to their poor sleeping condition. Plus, there are also several other disadvantages that you may not have seen coming the first time you let your child sleep in your bed. Here is what may happen if you don’t give your child a separate room and bed. Co-sleeping will increase the frequency of nighttime feeding. While some people believe that it helps the baby sleeps, others think that this need to eat during the night will extend beyond the infant stage. As a result, it may lead to the child growing up to be overweight. If a child requires your full attention while they sleep, they will start requiring 100% involvement throughout the day. It means that nannies will no longer do the trick. Once your baby starts sleeping in your bed, it will be much harder for you to make them sleep in their bed. Once the child is used to sleeping in the parental bed, it may take them up to five years to leave it. As the parent, the quality of your sleep may be significantly affected if you sleep in the same room or bed with your child. Since there is a high risk of rolling over your baby, you won’t be comfortable falling asleep, and so the quality of your sleep will be greatly. Babies need their mattresses to sleep on, so if you usually sleep on a sofa, water, or an air bed, it may be hazardous for your baby. There’s a real danger of your baby getting trapped in the places between the mattress and a headboard, wall or footboard. The beds in which the parent's sleep don’t have side rails, and since western style beds are elevated from the floor, it may lead to a falling hazard. Babies whose parents are smokers or have drunk alcohol before going to sleep are more likely to get injured or develop health issues. The baby could get tangled in the sheets, resulting in a choking hazard. Ideally, to prevent these things from happening, you may want to train your child to sleep in their beds. However, if that is not possible, just make sure that they don’t have anything they could potentially choke on. Also, if you are a heavy sleeper or very tired, you may also want to avoid sharing a bed with your baby. If anything goes wrong, you wouldn’t be able to wake up before a disaster happens. Use a firm mattress and position it away from walls or any type of furniture. Don’t keep any blinds, draperies or cords in which the baby could get tangled. If you are currently a smoker or have smoked during your pregnancy, avoid sleeping with your baby. Research shows that this will only increase the risk of SIDS. Avoid swaddling your baby if you are bed sharing. It will overheat the baby, and they will not be able to move the covers away if the parent is too close to them. Older siblings should avoid sleeping with their brothers or sisters if they are under 12 months since they are also developing their sleeping habits. Avoid sleeping with your baby if you drank alcohol, are overly tired or are under the influence of sedatives. It will make you less aware of your surroundings, which will put your baby in danger. 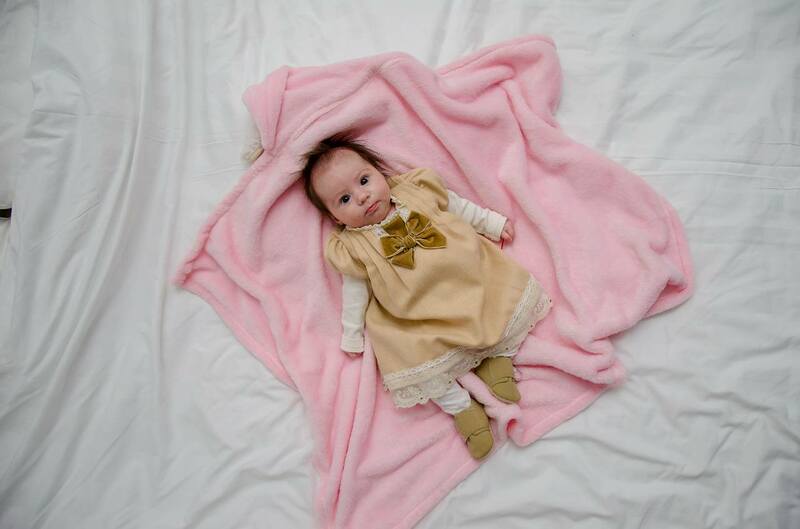 Don’t use bed covers such as duvets, blankets or top sheets near the baby. The same thing applies to pillows and soft toys. The fewer items there are on the bed, the better. Use a safe barrier to prevent the child from falling off the bed. Always make sure that your baby is sleeping on his/her back, with his/her face uncovered. There should never be two parents sharing a bed with the infant. It is recommended that only mothers practice this and that fathers avoid bed sharing altogether. Ideally, you will want to avoid sharing an actual sleeping surface. If anything, you should just place the crib next to your bed, allowing the child to sleep alongside you. However, if that doesn’t seem like a solution for you, then you may want to follow the tips listed above. Breastfeeding and co-sleeping have a bizarre relationship, as outlined above. 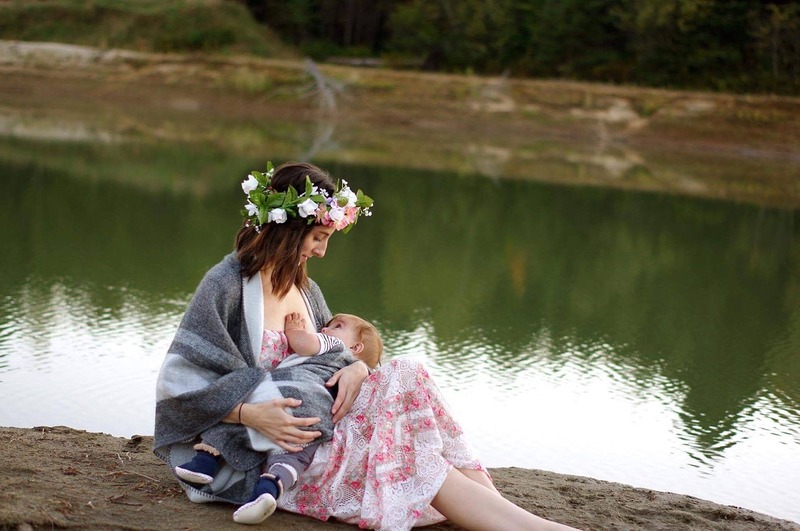 However, it has been discovered that if you have a problem breastfeeding your child, the best solution would be to bring him/her in proximity to you. It does not necessarily mean that you have to sleep in the same bed. You may place the crib farther away from you – or simply next to your bed. Once you do that, here are some benefits of co-sleeping in close connection to breastfeeding. If the baby is sleeping in the other room, nursing during the night will look something like this: the baby slightly wakes up, stirs and asks for his/her mommy while half asleep, and when he/she sees that she is not responding, they completely wake up and start crying. Keeping the crib in the same room or bed will allow you to notice immediately that your baby is stirring and quickly nurse him/her back to sleep before the storm is unleashed. if a baby sleeps together with their parent(s), they will have better results when they go to school than those who slept in their rooms. Combined with breastfeeding, it will improve their intellectual capacity. If the child is sleeping a room away, the mother would have to drag herself away to another room to feed the baby. By the time you get there, not only would you be falling asleep while walking, but the baby would be fully alert. If the baby is next to you, all you have to do is take out your breast and make the baby eat. The process would be much more hassle-free. For mothers to have a healthy milk supply, they need to breastfeed at regular hours. It is rather difficult to do during the night if your baby’s a hallway distance from you. If the baby co-sleeps, it will be much easier for you to work around a schedule that will keep your supply going. It will also delay fertility return in the mother, allowing you to focus more on this child rather than worrying another one would come straight away. You’ll have a better space between children. Co-sleeping is a topic shrouded in controversy. It has several significant benefits for both the mother and the baby, but it also comes with dangers. You need to take several precautions when sleeping with a baby, such as installing a barrier or not using bed covers. Try to bring the room temperature to an acceptable temperature instead. In the end, it’s not that bad an idea to co-sleep with your child. Only make sure that once the breastfeeding stops, you teach them to sleep in their own rooms. You must do this if you’ll ever want to have some personal space with your husband.